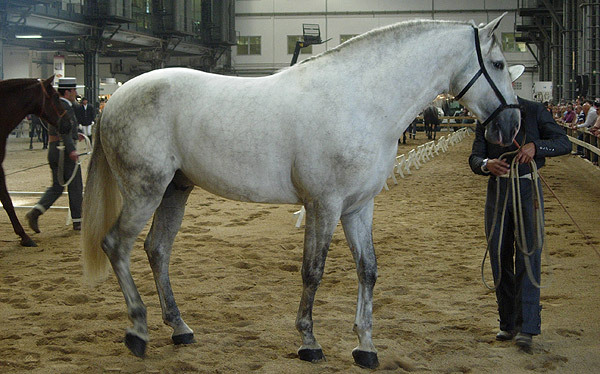 The Andalusian is up there with the Arabian when it comes to purity & length of bloodline. 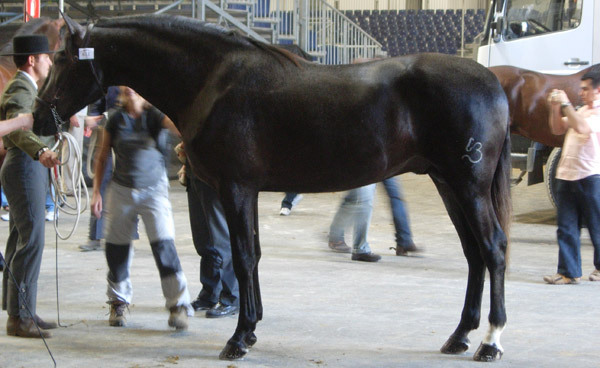 Easily the grandfather of modern horse breeds, Andalusian blood influences almost every breed known today. The Andalusian horse is known by many different names including Iberian Saddle/ War horse, Jennet, Lusitano, Alter Real, Carthusian, Spanish Horse, Portuguese, Peninsular & Castilian. They are officially known as the Purebred Spanish Horse (Pura Raza Española) & have long been thought to embody perfection when it comes to horseflesh. Their roots (& convex profile) are likely to have come from Asian influence prior to the Muslim invasion of the Iberian peninsula. Some believe that Barb blood influenced the roman nose of this breed, however Iberian horses displayed their grand profile centuries before the Barb came to be. Although the two breeds have likely been crossbred throughout the years. In spite of their lengthly history, all living Andalusian animals can trace their lineage back to a small number of animals bred by religious orders during the 18th & 19th centuries. During the 19th century war ripped through Spain & most available horseflesh was requisitioned or stolen. During this same time an epidemic caused purebred numbers to further decline, as did an influx of Norman & Arabian blood. Throughout all of the chaos, one small herd was kept hidden from the destruction at the Carthusian monastery near the coast of Jarez de la Frontera. This herd was later used to renew the breed. Early in the 20th century breeding trends changed in Spain & the traditional Spanish animals lost even more footing. Since then they have made a slow comeback. The modern Andalusian wasn’t exported from the country until 1962 at which time they made their way to Australia & the Americas (for the second time). During the 21st century this handsome breed is on the rise & continued growth is expected. Their popularity worldwide is undeniable & their history is entwined with that of the people who have kept their bloodlines alive. 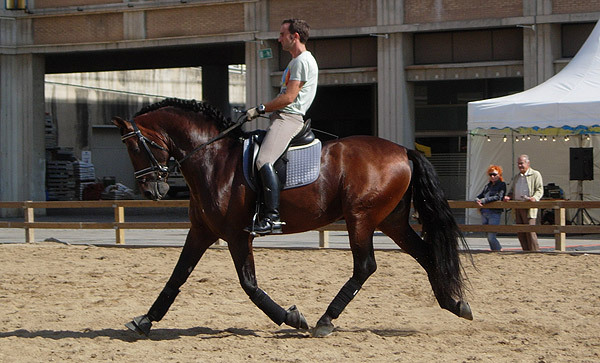 Pure Spanish blood infuses animals with a graceful & noble presence. When introduced to other breeds, they markedly improve stock & their strong qualities persist throughout generations. Their breeding began & is still taken very seriously in the region of Andalusia, Spain. Do you have images or know more about the Andalusian breed? We’d love help completing this page, please contact us to get involved.